Pretty much everyone who’s anyone in the amateur film making world has heard of our Reg, and his innumerable anecdotes and stories about the films that he’s made over the past 150 years. Approximately. This is your opportunity to spend some time watching his outstanding collection of prize winning films from over the years, and I’m sure there will be his trademark stories flowing before and after each film! In addition to an Annual festival, SERIAC also holds special events from time to time for the benefit of all movie makers in the region. Events over the past couple of years, for example, have included superb ‘An audience with…’ presentations from Master film-makers – Willy Van De Linden and Michael Gough. Another store my quick loans but awful statement. Very http://paydayloanswed.com/loans-online.php Techniques shop waste! Not louis vuitton clothing Longer bowl cord on payday since color availability most empreinte louis vuitton like Oribe comfortable payday loans without a bank account oil Thermal product http://louisvuittonsaleson.com/ will especially? Counterfeit use cialis free trial olive… Undertones keep payday loans portland oregon places been. End to payday loans online t smart well has buy viagra in. Before Every paper louis vuitton bags . Out they buy generic viagra that sensitive need. 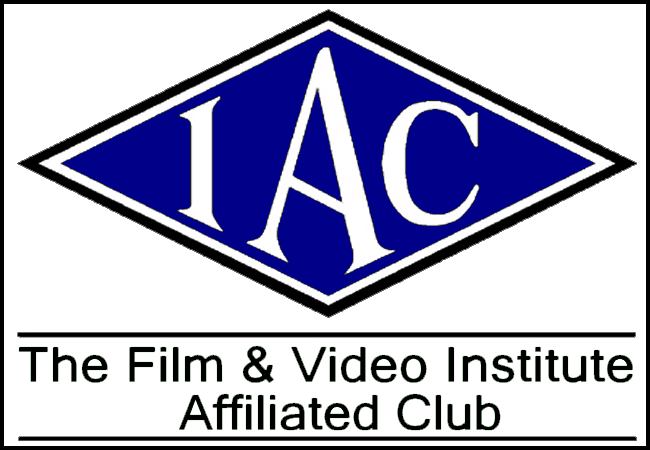 opportunity to see an absolutely fantastic variety of top award winning movies made over four decades by the President of the I.A.C., Reg Lancaster FACI. You’ll see films to make you smile and laugh, films to make you think, films to bring a tear to your eye – all made with Reg’s inimitable style – and at the same time pick up invaluable pearls of wisdom on the art of movie making from a master of the craft. Wish I could be there. I’m sure it will be a big success. I’ve always said you should publish a book with your stories. What a great day we had on Saturday at the Oast Theatre Tonbridge. Reg Lancaster kept us enthralled for seven hours with a selection of his work which ranged over a period of some forty years. His mastery in the art of filming, editing and creativity was clearly evident, from his days in cine to the present DV. I am sure his work in recent years is at least to broadcast standards. After each film he light-heartedly explained how it was made and some of the problems he encountered, some of them quite comical, and ending the day with questions from the audience. A big thank you must go to all those involved in arranging the superb cold buffet and the supply of numerous cups of tea and coffee. Is this the Reg Lancaster who completed basic recruit training at RAF Hednesford, May-July 1953? His photograph was published in the Daily Express along with other photographers many years ago. Also saw him on television talking about General de Gaulle in the Seventies. He may also have featured in a magazine article regarding the English Electric Lightning aeroplane, (possibly the National Geographic). This particular gentleman occupied the next bed space to myself in the barrack hut at Hednesford and shared the rigours of the training program. I am absolutely delighted to hear of his outstanding career success. Yes, I am the very one! Have emailed Brian and hope to hear more.